We’ve got another great article for all you electric guitar players today. Most players I know are constantly looking for their perfect sound. Strings, pickups, picks, amps; you name it, we tried it in various combinations. Once you find the sound that’s just right for you, how do you preserve it? One tool that will help is a good microphone for your recordings. So let’s take a look at 8 high-quality microphones for recording electric guitar and find one that’s a nice fit for you. First up today is the Shure SM57-LC. Dynamic microphones are often the go-to choice for recording electric guitars. Everyone will recognize the Shure name brand, so let’s check it out. This SM57-LC is excellent for use with high-volume amplifiers. The SM57 can handle close up recording on half-stack amps just as well as your small studio amplifier. Why does that matter? The SM57 will help you bring the sounds of a live performance to your recordings for a better representation of your guitar. 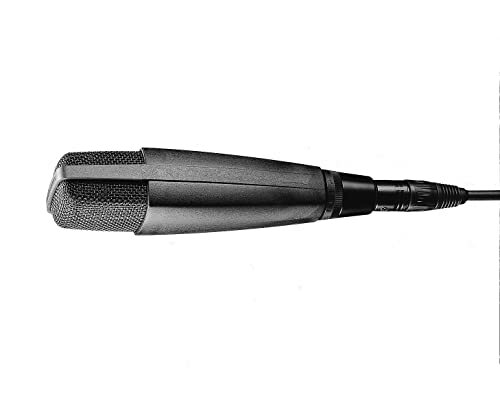 The SM57 differs from microphones that are made solely for vocal pickup. This mike doesn’t have a specific tuning as most voice microphones do, so it can handle frequencies on a much wider scale, with a response from 40Hz to 15KHz. Without this tuning, the SM57 takes in the sound exactly as it is played, creating a flawless recording every time; a huge bonus for electric guitar musicians. The SM57 uses a cardioid pickup pattern to focus specifically on one source, rejecting audio from outside the pickup area. This can be a great asset in live performances or intimate studio recording sessions. The SM57 can be positioned wherever you like without concern for feedback. You can be confident in the durability of the Shure SM57-LC, exposing it to hours in the studio or the elements of an outdoor performance recording. Your electric guitar will sound just like you want it with this name-brand microphone. The MD 421 II is one of the best-known microphones in the world. Its sound qualities allow you to deal with the most diverse recording conditions naturally. The large diaphragm handles high sound pressure levels well, making it perfect for recording electric guitars. That’s not all…. The MD 421-II features a dynamic capsule, resulting in smooth signal responses at close distances such as electric guitar amps. This mike also has the capacity to handle high sound pressure levels, another plus for recording electric guitars. The cardioid polar pattern of the MD 421 is effective in reducing background noise and ambiance. It is also successful in rejecting feedback due to monitors; perfect for recording sessions. Want still more? 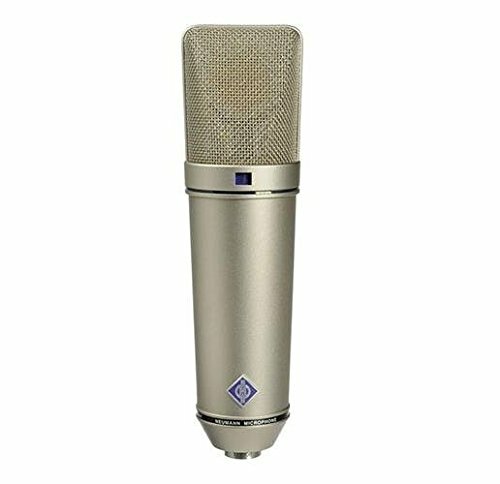 The MD 421 II has a glass composite housing and hardened stainless-steel basket for enduring years of recording sessions in the studio or onstage. With an impressive frequency range of 30-17,000Hz, you’ll get electric guitar recordings that will satisfy everyone. 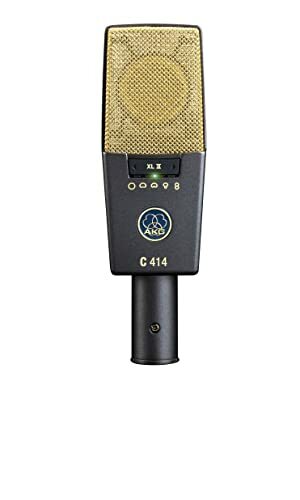 The well-known C414 is found in most recording studios and has been used on numerous hit records. It’s been on stage with artists of every musical genre and this is another top microphone for recording the electric guitarist. The C414 XLS offer nine pickup patterns that enable you to choose the perfect setting for every recording session. In live-sound presentations and fixed studio installations, all controls can be disabled for trouble-free use. The C414 has three switchable bass cut filters as well as three pre-attenuation levels. Why does that matter? These features allow lead vocals and solo instruments to be placed in even the densest mixes. Your electric guitar leads and rhythm sections will not go unnoticed. The C414 XLS is the most complete and versatile large diaphragm microphone released to the public in decades. Widely used for the most accurate, beautifully detailed recording of any instrument, the C414 XLS combines proven quality, leading-edge technology and state-of-the-art components. Electric guitar players, you’re gonna really enjoy working with this mike. The e906 mike captures amplified guitars with precision. This microphone is custom-made for demanding instrumental use. It has a very fast transient response, which makes it ideal for guitar leads. In addition, the e906’s frequency response of 18Hz-40kHz can handle multiple instruments for all your recording needs. The e906 features a switchable presence filter which allows you to modify the sound characteristics to different requirements and styles for electric guitars. The filter is adjusted using a slide switch on the microphone. The switch has three positions; the real story? One boosts the presence range for aggressive metal rhythm guitars. The normal position is great for classic rock. And the third position offers warm, smooth jazz and blues sounds. The flat front design allows you to hang the e906 on a guitar amp for stand-free performance. Its laterally mounted capsule has been specially developed for miking guitar amps extremely close to the signal source. The supercardioid pattern is great for reducing bleed in tight situations while recording onstage, and the e906’s hum-compensating coil rejects interference. Stick the e906 in front of your amp and you’re ready to go! The Sennheiser e906 is versatile and affordable. Throw in a 10-year factory warranty and you’re set for years of recording your favorite electric guitar tunes. 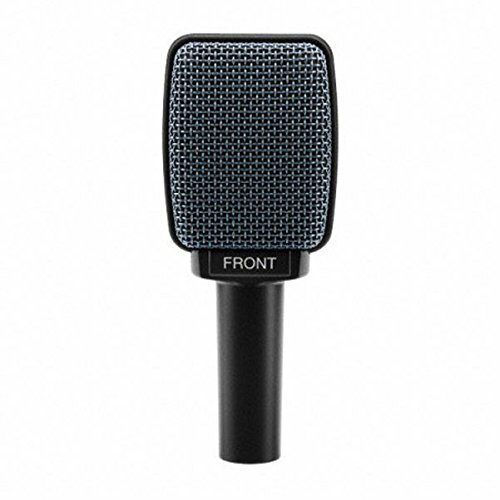 The R-121 is an extremely user-friendly ribbon mic that can stand up to the most demanding tasks. Crank up your electric guitar and the R-121 will help you record with realism you have to hear to believe. Released in 1998, the R-121 is the first completely reengineered ribbon micro-phone and the model that reintroduced ribbon mics to musicians around the world. They did away with the large, heavy “classic” approach to ribbon microphones and went in a completely new direction. Why does that matter? The R-121 gives the warmth and natural sound that guitar players treasure. It’s a compact, light-weight, high output design that was unheard of in a ribbon mic before the R-121. Thousands of these mikes have been sold around the world and it’s well established as a standard for tracking and recording electric guitar music. The R-121offers low residual noise and a ribbon element is not affected by heat or humidity. The ribbon design allows equal sensitivity from front or back of the element, another nice touch for electric guitar players. Royer Labs offers a lifetime warranty with the R-121. They expect you to own it for as long as you record, and they’ll stand behind it the whole way. AKG makes our review for the second time with another version of the C414. The C414 XLII multi-pattern condenser microphone offers a choice of several different options for the perfect capture of every recording. A peak hold LED displays even the shortest overload tendencies. For live-sound applications and permanent studio set-ups, all controls can easily be disabled for trouble-free use. As we saw with the XLS, the XL II offers 9 pickup patterns for you to choose the perfect setting every time. The C414 XLII version differs from the C414 XLS we reviewed earlier today in one major respect; the capsule. Why does that matter? 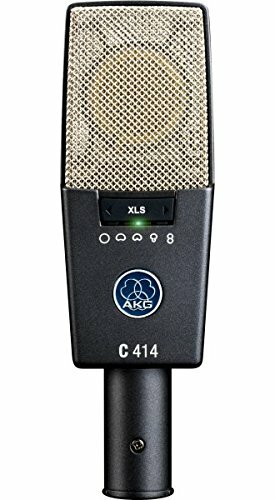 The C414 XLII’s slight presence boost and impressive reproduction are both similar to the legendary AKG C12 microphone from 1953. The C414 XLII is the successor of the famous C414 B-TL II. It shows the unique signature of the highly sought-after AKG C 12, which permits instruments such as electric guitars to be recorded and placed in dense mixes. The unrivalled upfront sound is also well known for distant miking applications if you’d like to try recording your jam sessions that way as well. With either of the AKG mikes we reviewed today, you’ll be extremely pleased when you hear the playback of your favorite electric guitar. The Neuman U 87 Ai is the modern reinvention of a classic microphone. Introduced in 1967, the U 87 gained instant favor with engineers, producers, and their clients. Walk into a session, and you’ll see 87’s everywhere, including upfront of the electric guitar amps. The mike’s popularity is easy to understand: it ushered in a new era of audio fidelity and reliability. The U 87 has three selectable polar patterns and a switchable high pass filter. This mike is also super versatile, and an ideal choice for a broad range of recording techniques, so guitarists will be pleased with the outcome. The U 87 is an industry-standard large-diaphragm condenser mike. The best part? Read on to find out what it can do for electric guitar players. The U 87 features upgraded electronic components; however, the capsule design remains unchanged. The modern circuitry increases the mike’s operational headroom that gives you 10dB higher sensitivity for identical sound pressure levels. Electric guitar recording sessions will sound great with these newer features. If you’re use the U 87 to capture a loud source, the microphone’s switchable 10dB pre-attenuation pad comes in handy. With the pad activated, the mic accepts sound pressure levels up to 127dB — perfect for miking a guitar amp stack. Neumann’s are not assembly-line products; they’re handcrafted in Germany by highly skilled technicians. This level of excellence requires rigorous quality control to maintain Neumann’s status as a leading manufacturer of studio microphones. Neumann’s instantly recognizable diamond is more than a corporate logo — it is a quality seal. Every microphone that bears it is testimony to this proud tradition. If you decide to choose a Neumann, your electric guitar and anything else you record with be top-notch all the way. Beyerdynamic’s M 160 is an energetic double ribbon microphone featuring a hypercardioid polar pattern, effective for all types of remote and in studio reproduction. In the recording studio, the M 160 is recommended for miking instruments so it’s a great fit for electric guitars. Its non-glare black surface and compact size allow for unobtrusive use in smaller studios. On live stages and in the recording studios, the M160 is a must have microphone to create the classic electric guitar sounds of the past and is shaping the newest sounds and tones for today’s players. Some of the most legendary guitar sounds of all time have been captured with an M160. Grammy winning producers have relied on the M160 full frequency response to create epic guitar tones that have gone down in rock history as some of the best. You won’t be disappointed when you hear your guitar played back after recording with the M160. it’s all found in our lineup today. So, what I’m thinking is to get you a great mike for electric guitar recordings without breaking the bank. 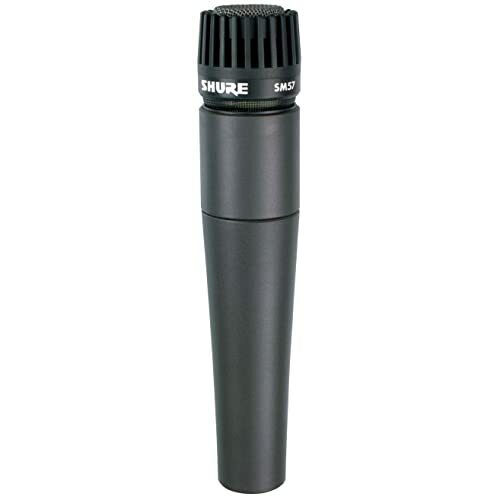 We’re choosing the Shure SM57-LC Cardioid Dynamic Microphone. It’s at the very beginning of our review, but it’s certainly not forgotten. The recognized name, great features and durability make this mike stand out. We’re also sold on the fact that is has no specific tuning; just straight up, electric guitar sounds that you want, at a very affordable price. Pick one up and try it out; your guitar is gonna sound great! !